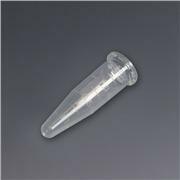 … External graduations and frosted writing spot for easy sample identification Flat cap surface for convenient labeling Withstands maximum RCF of 17,000 x g Costar microcentrifuge tubes are certified RNase-/DNase-free and are autoclavable. 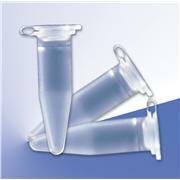 The tubes are made of polypropylene. 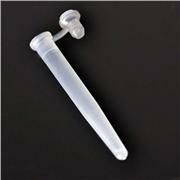 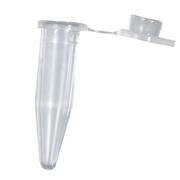 These polypropylene (PP) microcentrifuge tubes without cap are resistant to most chemical reagents and can be autoclaved at 130°C. 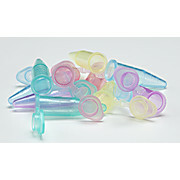 The tubes are offered in 1.5mL and 2mL sizes. 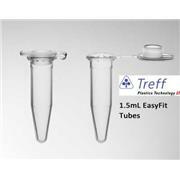 Polypropylene tubes withstand up to 12,000 × g. Polyethylene tubes withstand force to 6,000 × g. Our polystyrene tubes withstand 3,000 × g and are useful in lipid fractionation. 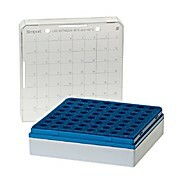 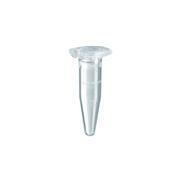 Two-tier polypropylene racks hold up to 100 of 1.5ml microcentrifuge tubes. 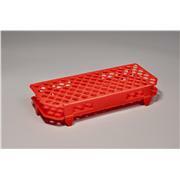 Racks are autoclavable and can be used in water baths or freezers. 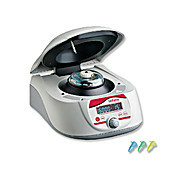 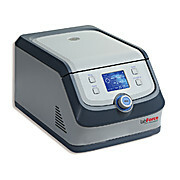 A molded-in alphanumeric index makes sample identification easy. 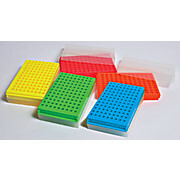 Racks are stackable and have a 2-3/4" labeling are on two sides. 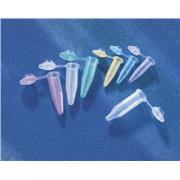 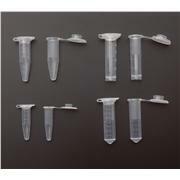 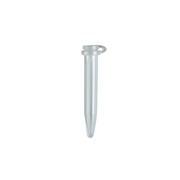 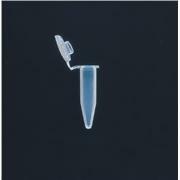 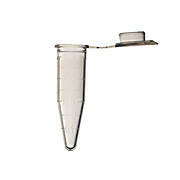 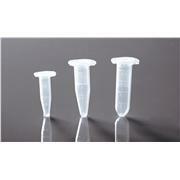 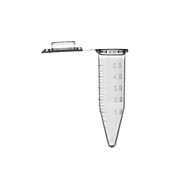 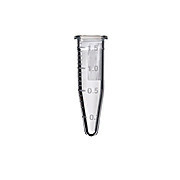 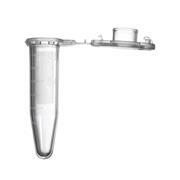 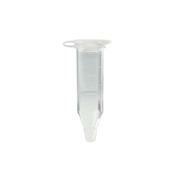 These 500uL (0.5mL) Beckman® Type microcentrifuge tubes with attached cap are non-graduated. 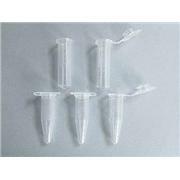 The tubes are made from polyethylene and are not autoclavable. 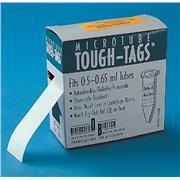 The tubes are sold in bags of 1000. 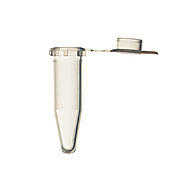 Microcentrifuge Tubes without Caps Crystal-clear polymer facilitates visualization os samples. 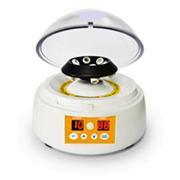 Rated to 20,000 x G. Temperature range: -80C to +121C.